“Ladies First” is a great title for my first GEO piece out today. 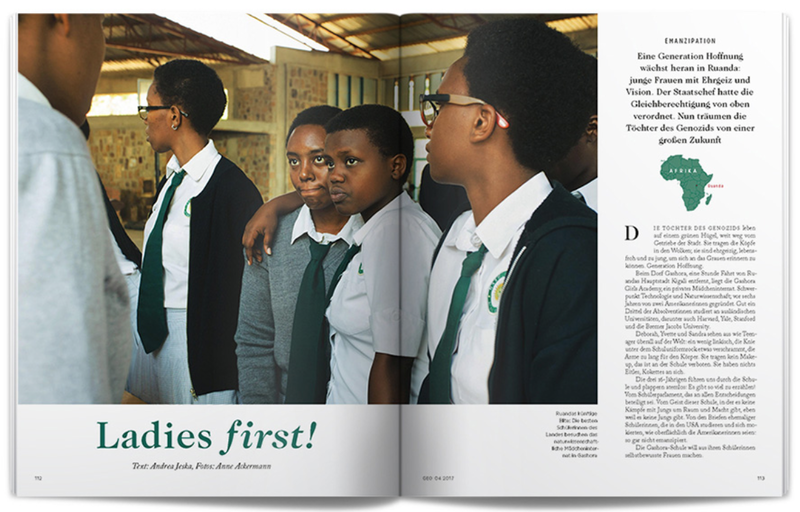 Writer Andrea Jeska and I traveled to Rwanda and interacted with Rwandese women from all ages and walks of life to find the answer to the question how good or bad it really is to be a woman in Rwanda today. Rwanda is often praised for being a ‘women wonderland’ and a great place for women, but is that really true? Check it out in the new GEO.